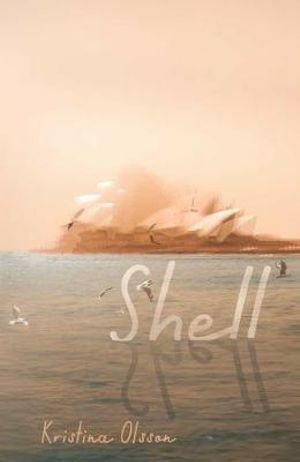 In her impressive, lovingly written new book, Shell, Kristina Olsson delivers a brilliant snapshot of the swinging sixties, a poignant story of family and of emotional upheaval, with hope running like a thread of gold throughout all that happens. Guaranteed to awaken memories for Baby Boomers, there’s rewards aplenty for younger readers too, not only in Shell’s fine storytelling, but in its fascinating re-telling of how we arrived where we have today and of what came before – of the turbulence, wildness (following the puritanical 1950s) and the excitement of a decade that rocked change. Pearl Keogh is one of the young women rocking change in Shell as she makes her way in the mostly male world of newspaper journalism. Seems outrageous now, but Pearl is banished to work on what used to be called the Women’s section of the newspaper – think hats, fashion at the races, home-making, recipes etc – after being photographed protesting Australia’s involvement in the Vietnam war. 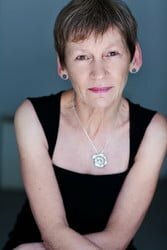 For a talented young writer like Pearl who is keen to be out and about like the men, reporting on everything from crime to politics, being deployed to the Women’s department is akin to death. Pearl rolls her own cigarettes, is delightfully bolshie, outspoken and likeable. But because of an affair she has, she is harshly judged by her colleagues, including some censorious, purse-lipped women with one stiletto still stuck in the fifties. The hypocrisy is gobsmacking. There’s a delicate balancing act between the political – things like sexism and the opposition to conscription – and the personal, such as the way that change wrought as much hope as it did confusion and grief. Olsson turns her hand as easily to the importance of art, as she does to recording the nobility of physical labour. Definitely not as a billboard to advertise a horse race, then.